When a cavity gets to a certain size, it becomes necessary to remove the decay and fill the space back in. This stops the cavity from getting bigger. We use composite tooth-colored material for nearly all of our fillings. This material bonds to the tooth and can even be used to close spaces and make cosmetic improvements! 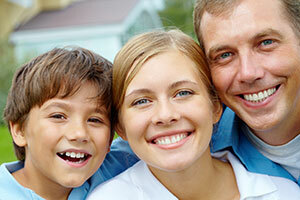 We will replace or repair your filling in the event of failure for a period of 2 years.